Red coloured A4 sized ribbed paper carrier bag with black twisted paper handles. The size of this bag is 240mm x 310mm + 110mm bottom/side gusset. 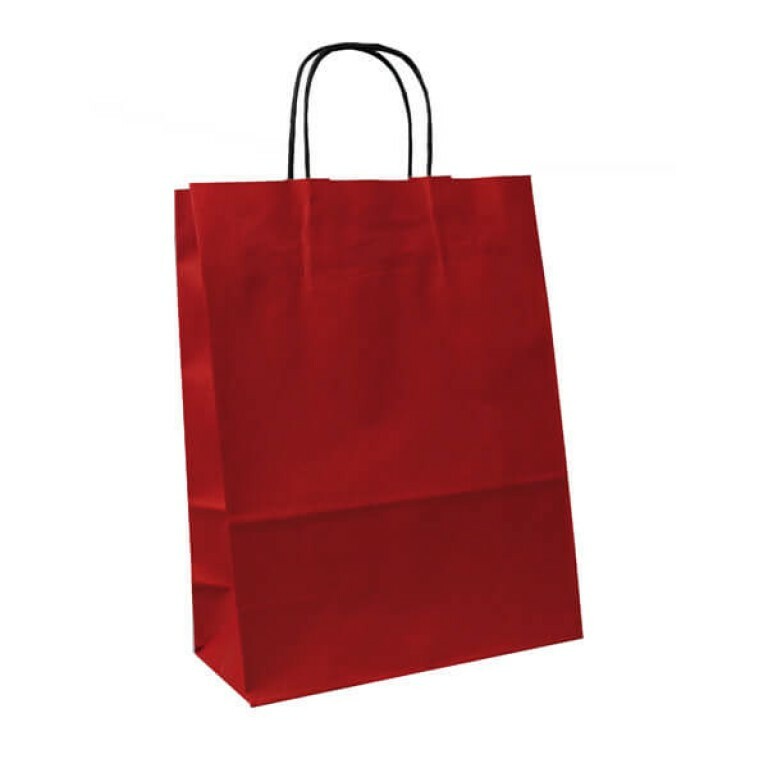 This red coloured paper carrier bag has a contrasting brown kraft interior and is a perfect accessory gift bag. The deep red colour makes it very popular with retailers at Christmas. Available in packs of 50 or boxes of 150.